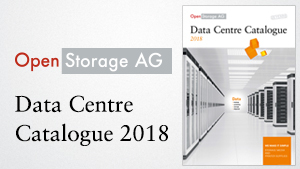 Our Data Centre Catalogue informs you about our product range round the data centre und news in the tape industry. Read interesting things about tape technology, our tape services, shredders, Oracle Tape Library SL150, data media safes, data media racks & cabinets and complete data centre infrastructure solutions. Until 2017 our printed newsletter in DIN A4 format presented up to four times a year technical- and product innovations from the storage- and printer industry along with consumables.